A one woman show devised in response to the life and work of Mary Wollstonecraft, late eighteenth century British thinker, writer, pioneering feminist, radical and author of A Vindication of the Rights of Woman. 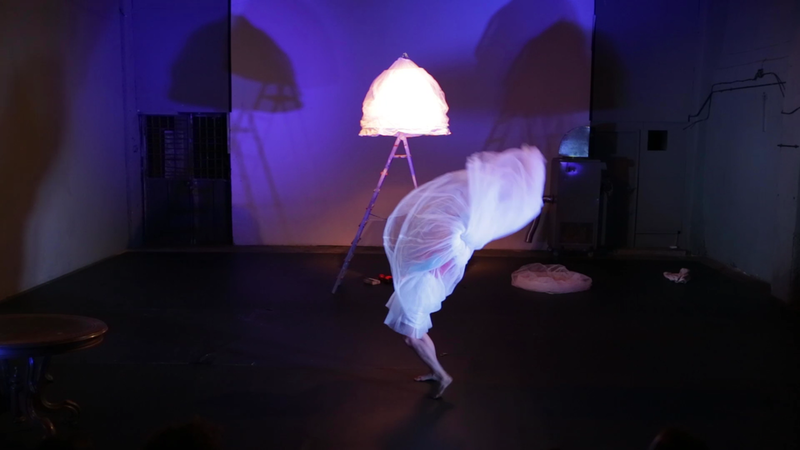 The performance combines physical intensity, humour, quirky character work and tragedy, and embodies the lives of multiple women - real, surreal, mythical, historical and imaginary. In autumn 2017, I took my one woman show Seven Petticoats on its first European tour with performances at Art Factory (Athens) and Lithuanian National Drama Theatre (Vilnius). Article about my work and show in Lithuanian. The work, co-written with Rosemary Klich and directed by John Britton, grew out of my long lasting fascination with interesting, independent, strong-willed and eccentric women. I grew up surrounded by them, including my mother and her artistic friends. As an embodiment for this fascination, however, I chose Mary Wollstonecraft - late 18th century British thinker, writer, pioneering feminist, radical and author of A Vindication of the Rights of Woman. Combining physical intensity, humour, quirky character work, ridiculous petticoats and a load of sugar cubes, the show artistically draws on some real aspects of Mary’s life. We see her suicide attempt at Putney Bridge, attempts to fit in and continuous failure to do so, sugar cravings, and her being a Grandmother of Frankenstein written by her daughter Mary Shelley. I also allow other women, some iconic, some archetypal or mythological, peak through the multiple veils: Salome, Gandhari, Ishtar, Eve, Frida Kahlo, Mary Magdalene, Ophelia... All in pursuit of the main idea that strong and inspirational women, like Wollstonecraft, are much more complex than we are first led to believe. They often exist in-between the iconic figure and the marginalized loner living on the edge of rationality and society. So far, Seven Petticoats was performed in Canterbury (Canterbury Festival), Chester, London (Herstory festival and Drayton Arms), Athens and Vilnius. 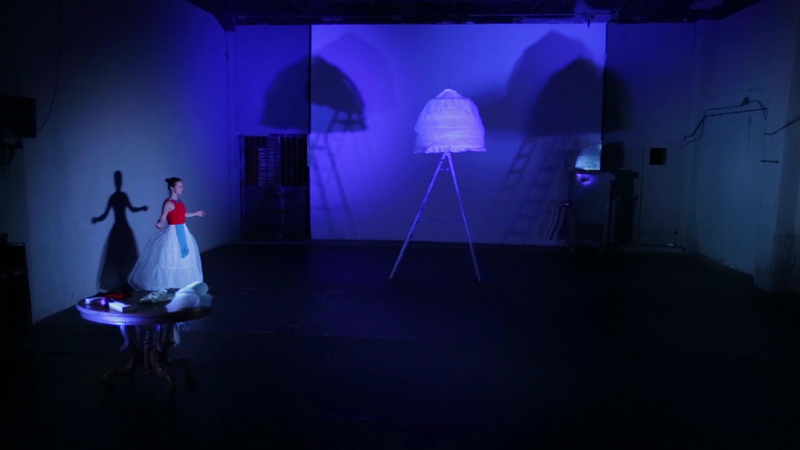 The work is supported by University of Kent and Duende. Please get in touch if you are interested in programming Seven Petticoats at your event or venue! Photos: Stacie Lee Bennett & screen shots from the video by Giorgos Voursoukis.